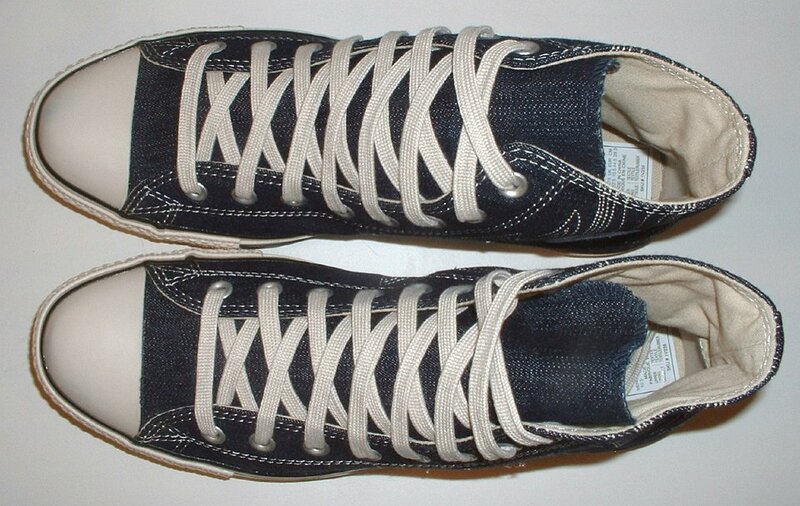 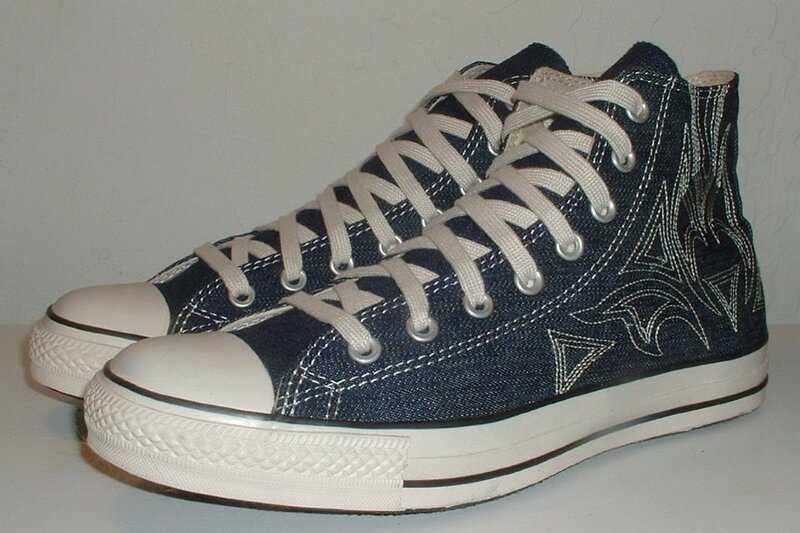 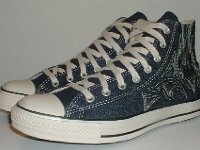 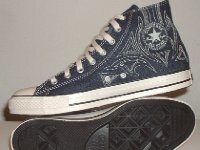 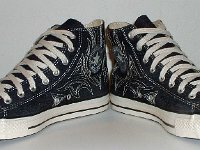 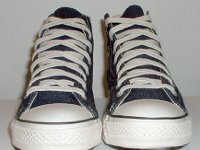 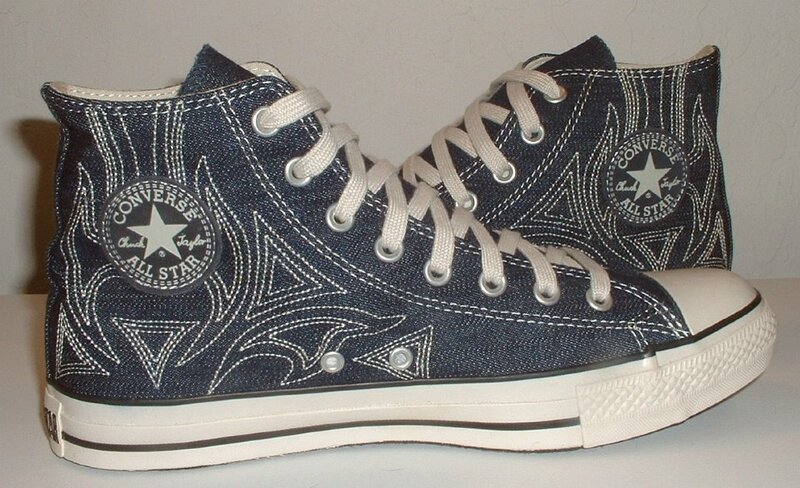 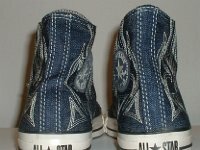 Photo gallery of blue denim embroidered high top chucks. 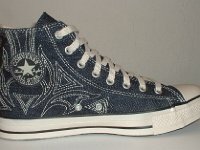 1 Blue Denim Embroidered High Top Chucks Outside view of a right blue denim high top with stitched details. 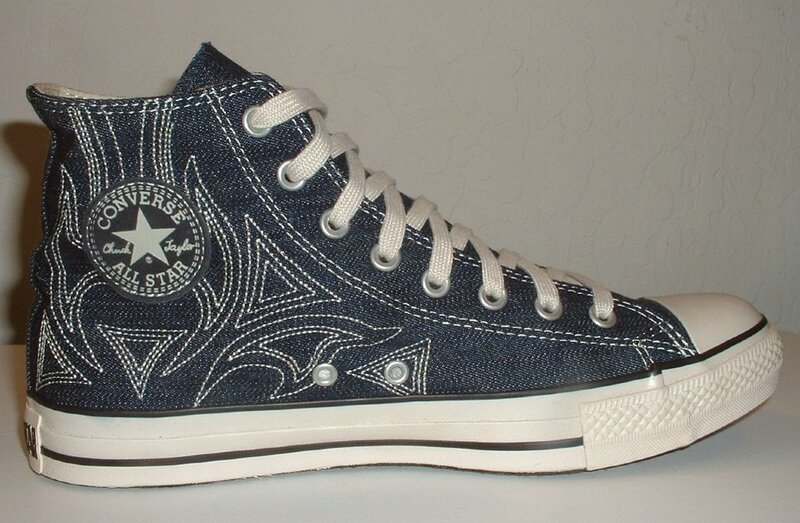 2 Blue Denim Embroidered High Top Chucks Inside patch view of a right blue denim high top with stitched details. 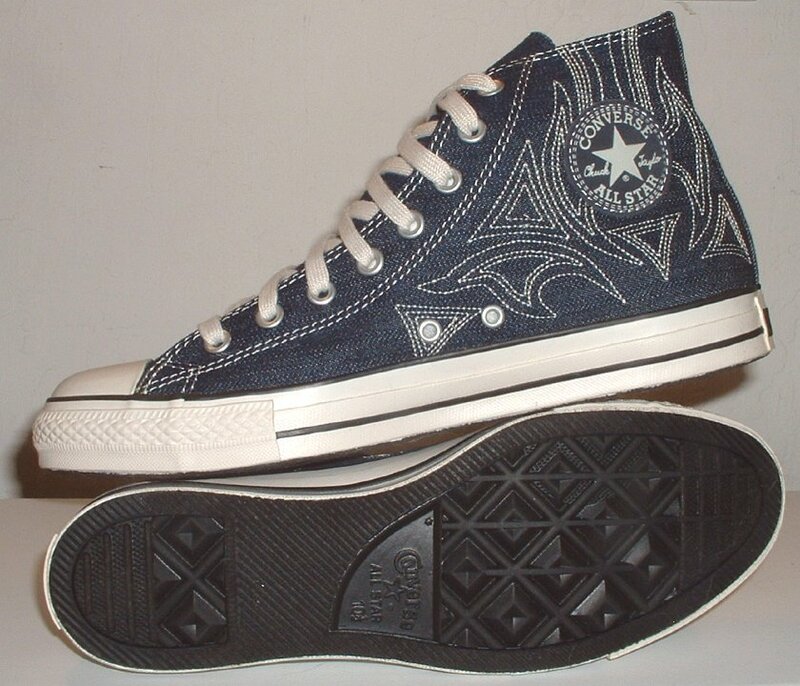 3 Blue Denim Embroidered High Top Chucks Inside patch view of a left blue denim high top with stitched details. 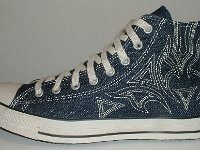 4 Blue Denim Embroidered High Top Chucks Outside view of a left blue denim high top with stitched details. 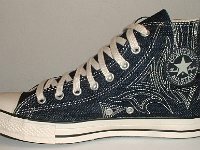 5 Blue Denim Embroidered High Top Chucks Rear view of blue denim high tops with stitched details. 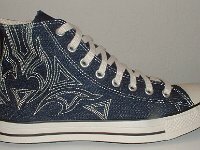 6 Blue Denim Embroidered High Top Chucks Front view of blue denim high tops with stitched details. 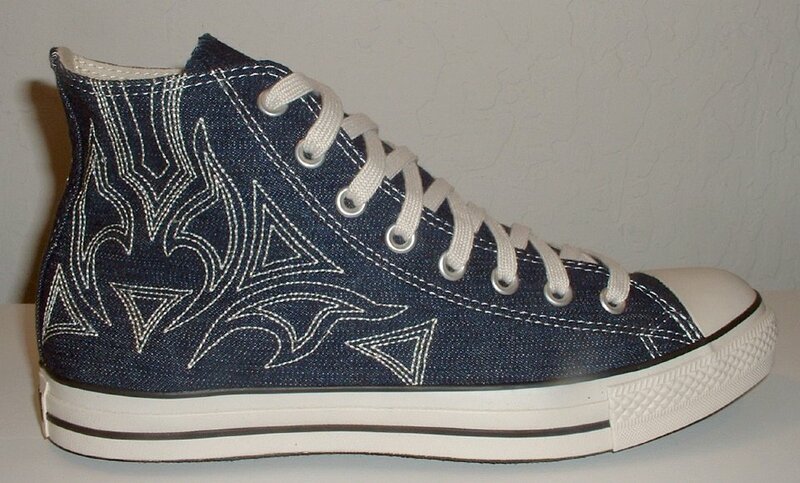 7 Blue Denim Embroidered High Top Chucks Angled side view of blue denim high tops with stitched details. 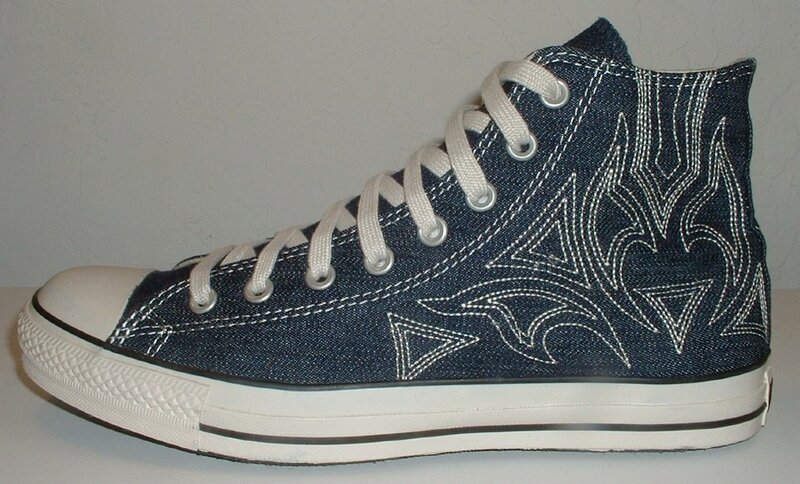 8 Blue Denim Embroidered High Top Chucks Top view of blue denim high tops with stitched details. 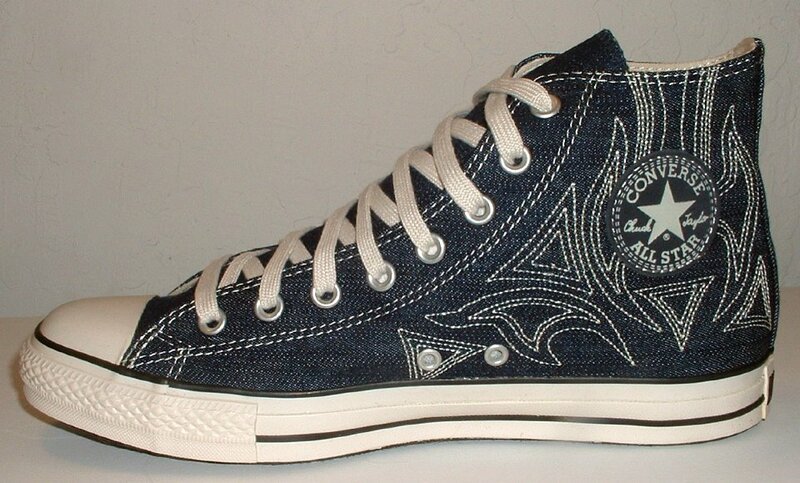 9 Blue Denim Embroidered High Top Chucks Angled front view of blue denim high tops with stitched details. 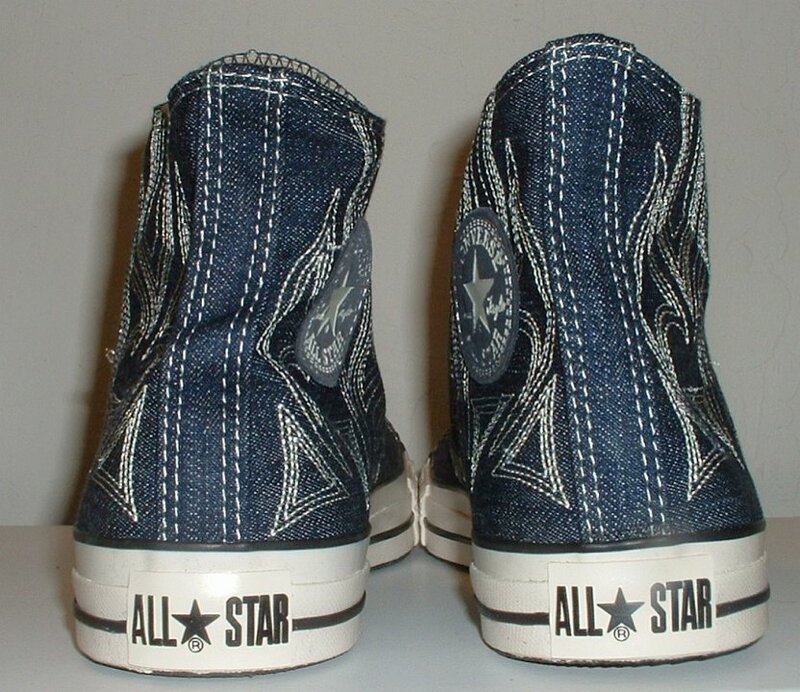 10 Blue Denim Embroidered High Top Chucks Inside patch views of blue denim high tops with stitched details. 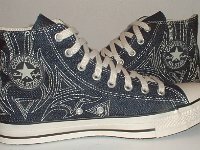 11 Blue Denim Embroidered High Top Chucks Inside patch and sole views of blue denim high tops with stitched details. 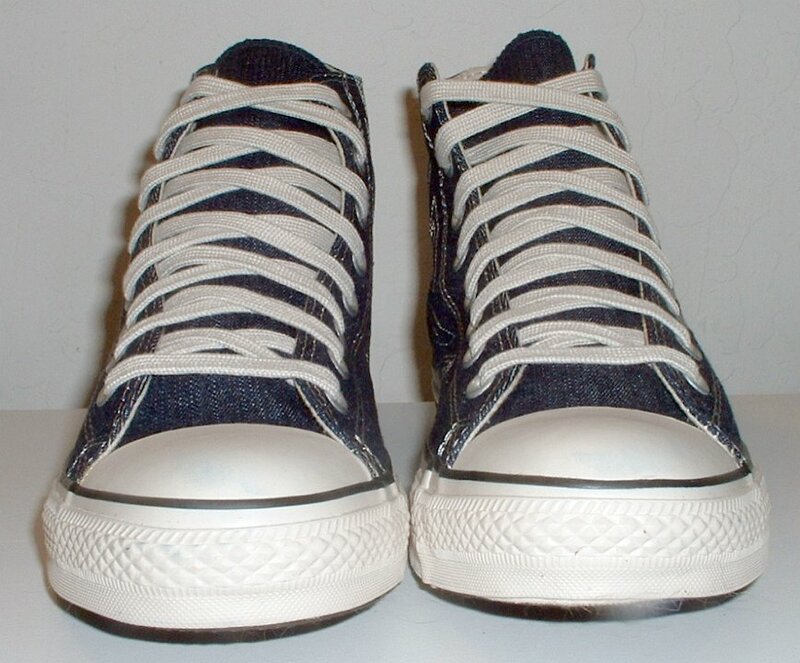 These high tops are made of brushed blue denim with parchment embroidery, parchment toe caps and foxing, and a blue and parchment ankle patch. 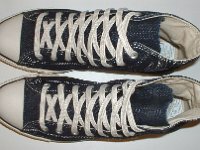 The heel patch letering and piping are black.